Amazon has launched its first cashier-less grocery store, dubbed Amazon Go, after a year of tests. The store, in downtown Seattle, occupies 1,800 square feet and offers everything from staples to snacks to alcohol. 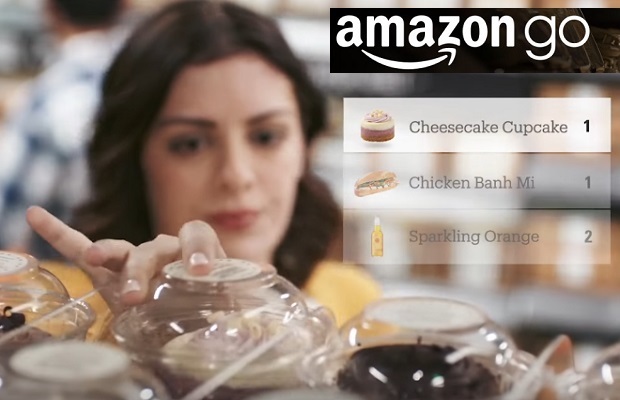 Amazon Go uses hundreds of ceiling-mounted cameras and electronic sensors to identify each customer and track what items they select. The, store, located close to Amazon’s Seattle campus, was supposed to open to the public in early 2017, according to the website. Yet until now, it has remained in beta mode for Amazon employees only, and there were some teething problems with correctly identifying shoppers of similar body types – and children moving items to the wrong places on shelves, according to an Amazon insider. With its purchase of Whole Foods last year for nearly $14 billion, it became the second biggest private employer in the country behind Walmart.